We love youth at St. George’s: some of the smartest and engaged and most challenged folks in our society fall into this category. We love the enthusiasm, the questions, and the passion youth bring to the table, and their willingness to encounter, engage, and wrestle with some of life’s most difficult topics. Youth group is a safe and inclusive place no matter where you are in your spiritual journey. You are welcome if you attend this church or another church, and you are welcome if you don’t attend any church. There is no cost and no pressure, just open minded discussion and fun! 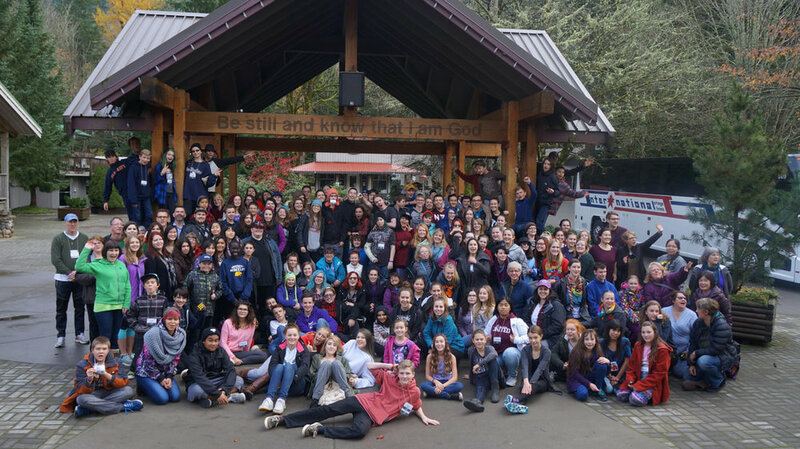 Every year youth connected to the United Church of Canada, including St. George’s, gather in November, February, and May for Retreat. Evolve Retreat Takes place each November at Stillwood Retreat Centre in Cultus Lake (http://www.evolveucc.ca/). May Retreat More information will be available in the Spring of 2019. Please contact Rev. Ingrid (ingrid@stgeorgesunited.com or 250-218-7641) for more details or registration information. Please do not let costs deter you! There are bursaries available. We strive to create a safe space for all people regardless of their gender identity or expression or sexual orientation. We believe that we were all made in the image of God and are precious in God’s sight, worthy of love and belonging.